If your tooth has broken or you have developed a cavity due to decay, our dentists will use an inlay or an onlay to strengthen and protect your enamel from any further damage. Inlays and onlays are normally used on the back teeth, which are often more susceptible to decay. They will be recommended by your Derwent Street Dental Practice dentist when a tooth requires more support than a filling provides, but is not damaged enough to require a crown. An inlay or onlay is made to precisely fit the cavity or hole that requires treatment, and is cemented into place. 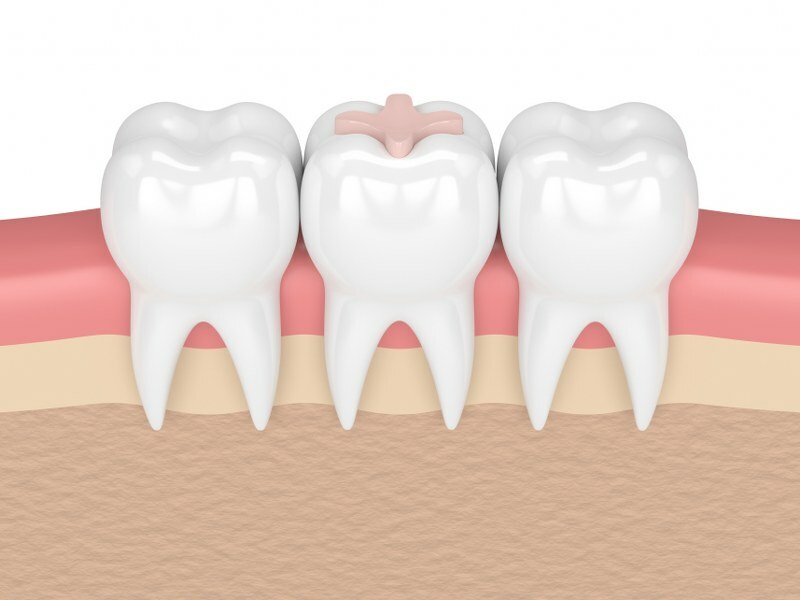 An inlay is placed between the four cusps of a tooth while an onlay is placed to overlap the cusps. They can be made from precious metal, porcelain or composite resin. When you attend Derwent Street Dental Practice for an examination, we may recommend an inlay or onlay if a dental x-ray reveals your tooth needs additional protection. Inlays or onlays can also be used to replace old silver fillings. The affected tooth will be prepared for treatment – this may entail removing the damaged section and/or reshaping the natural tooth. We will then take impressions of your teeth so that the right sized and shaped inlay or onlay can be made for you. At the next appointment, the restoration will be cemented to the affected tooth. This type of dental restoration is commonly used and very hard-wearing. It can last for a number of years if cared for properly. You can spread the cost of treatment by choosing one of our flexible payment plans. Please click here or call 01773 820478 to book your appointment now.